Altitude: 2300-2600 metres above sea level. 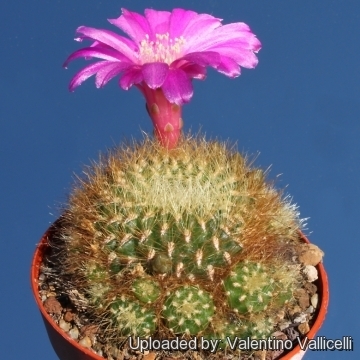 Description: Sulcorebutia swobodae is one of the innumerable local form of the very variable Rebutia mentosa with long predominantly yellow flexible spines not hurting to the touch and pink-violet blooms. However in habitat Rebutia mentosa var. 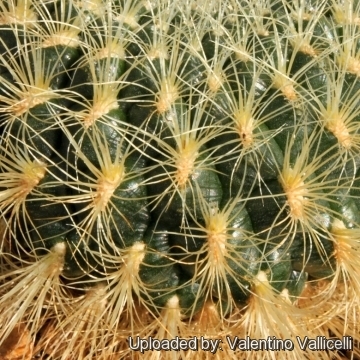 swobodae is very variable in colour even within the same population with spines ranging from yellow to brown to almost black. 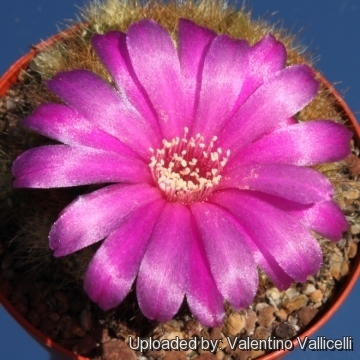 The standard Rebutia mentosa shows the same variably coloured spination but distinguishes in the number, texture and shape of the spines. 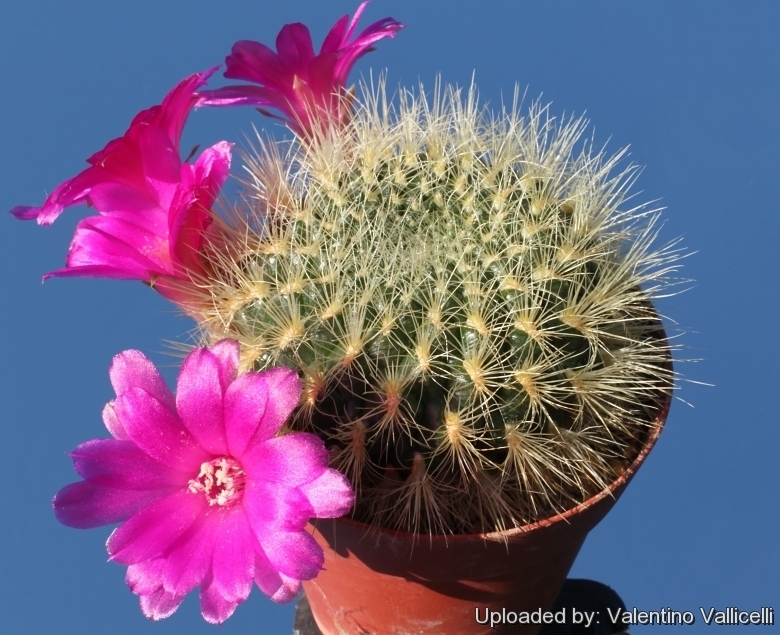 Rebutia mentosa has always more or less powerful, stinging spines variously spreading or somewhat addpressed – By the other hand Rebutia mentosa var. 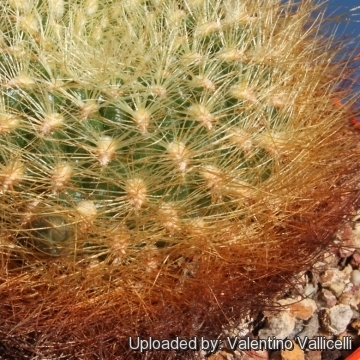 swobodae has only soft, protruding "Bristles or hairs". 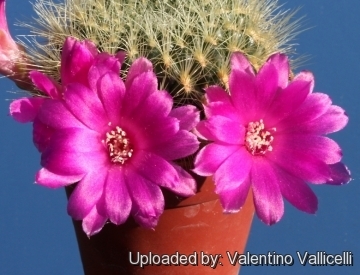 Moreover the stems of Rebutia mentosa var. swobodae is almost concealed by the dense cover of spines that are significantly higher in number than the species. Habit: This is one of the larger headed species, solitary or clustering when the main head is about 5-7 cm in diameter and producing a nice patch over time. This species pups at the base. Stem: Flattened globular or hemispherical, often shortly cylindrical in cultivation, depressed at apex, 4-7 cm tall and in diameter, typically light-green in yellow spined specimens, but in darker spined forms often brown-green, brown-violet or sometimes almost black..
Areoles: Elongate, white or brown woolly 5-7 mm long. 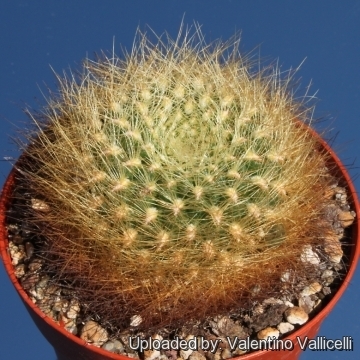 Spines: 20-25 or more per areola, not clearly differentiated as centrals and radials, about 14 mm long, comb-like, protruding and ascending, bristly, soft, fexible not hurting to the touch usually yellow, but also white, brown or black.. Flowers: Showy that cluster around the lower stem, funnel-shaped with short necks, about 3 cm tall, 3,5 cm in diameter, pink-violet to purple. Fruit: Dark yellowish-brown with pale green scales.